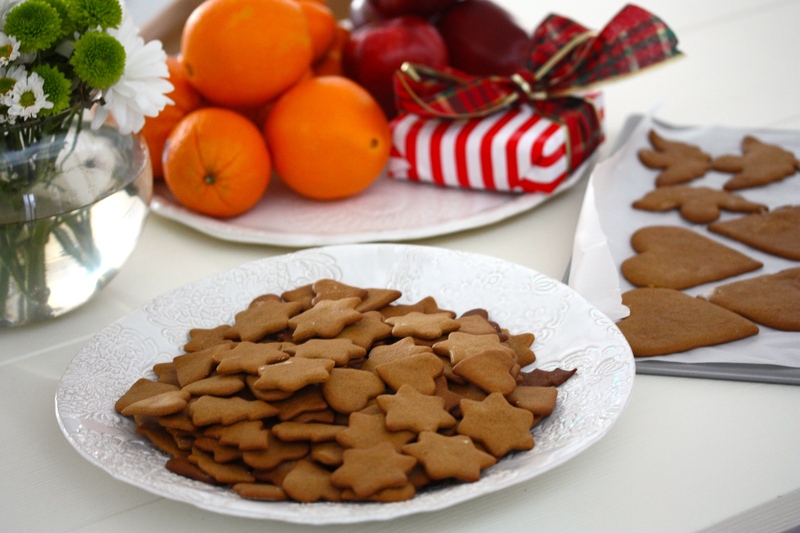 Here comes a recipe that symbolizes Christmas for me more than most things. 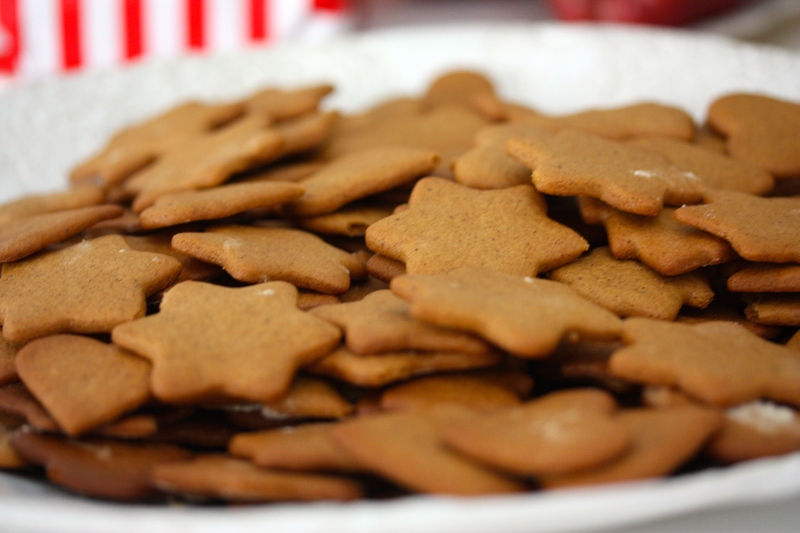 Gingerbread cookies are incredibly delicious, but I must admit I usually stick to the store-bought dough. 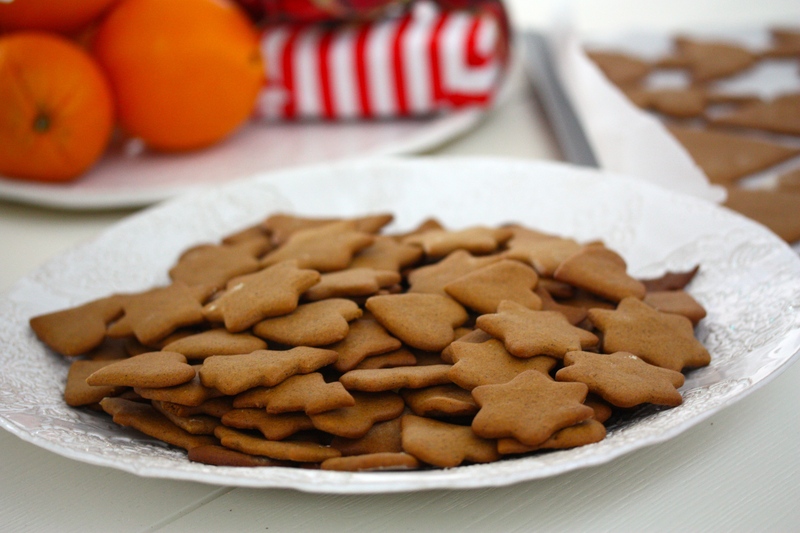 This year, we’re not celebrating Christmas in Stockholm, which requires some creativity. 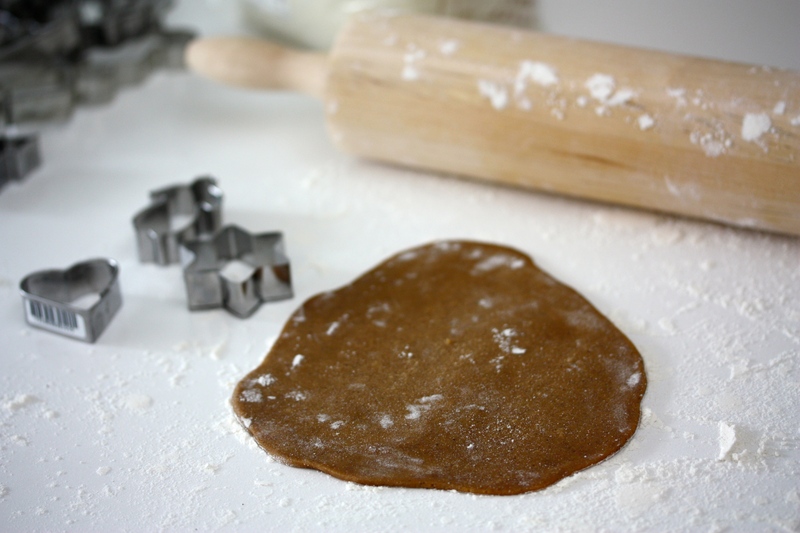 This might not be the most creative recipe, and I know that many of you probably make your own dough each year, but for us, it was a first! 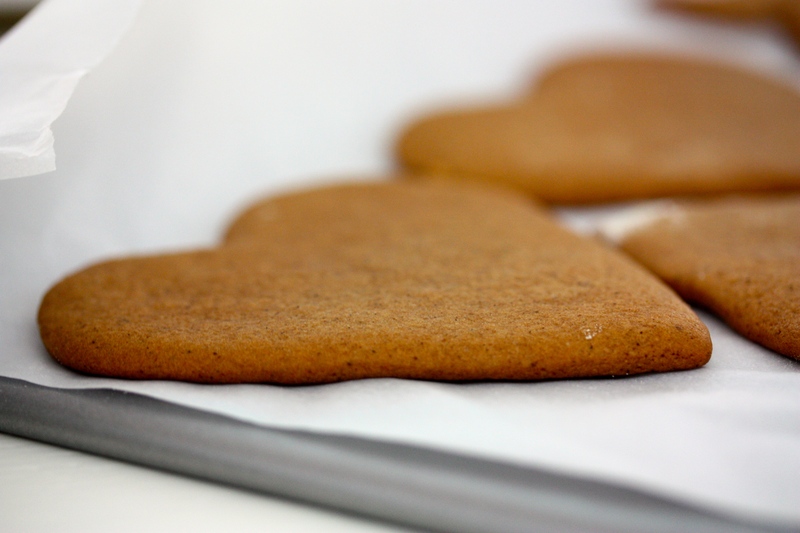 Make it today, and start Christmas Eve off by baking some delicious, crisp, gingerbread cookies in the morning! On the picture above, you see me and my lovely co-baker of the day, Alexandra. 1. Bring sugar, water and syrup to boil. / Koka upp socker, vatten och sirap. 2. Take of the heat and stir in the butter. / Ta bort från värmen och rör i smöret. 3. Mix in all other ingredients. / Blanda i alla andra ingredienser. 4. Wrap the dough in plastic foil. / Vira in degen i plastfolie. 5. Let sit in the fridge for 8 hours or over night. / Låt stå i kylen i 8 timmar eller över natten. 6. Preheat the oven to 340 F. / Sätt ugnen på 175 grader. 7. 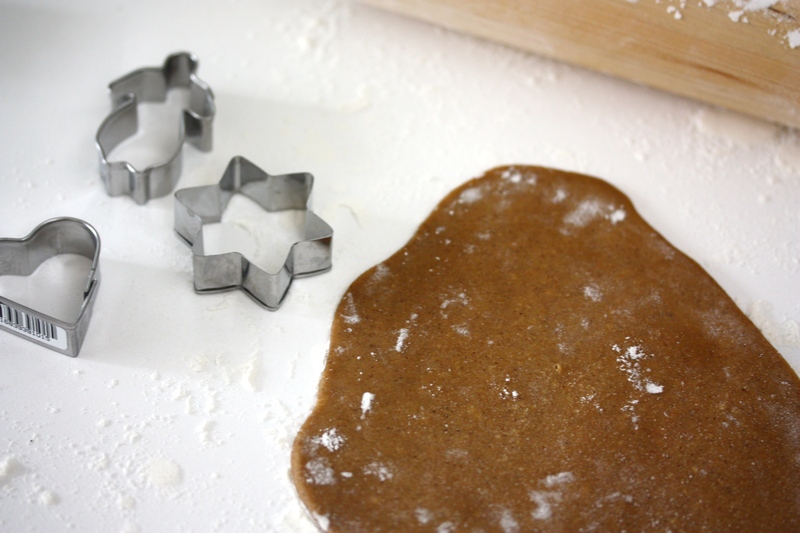 Roll out the dough super thin, make sure you sprinkle the surface you’re baking on with plenty of flour. / Kavla ut degen, se till att ytan du bakar på är strödd med mjöl. 8. Push out different patterns with molds. / Tryck ut olika kakor med formar. 9. Bake for about 6 min or until a little brown on top. / Grädda i ca 6 min eller tills kakorna är lite bruna på toppen. Thank you 🙂 Right? 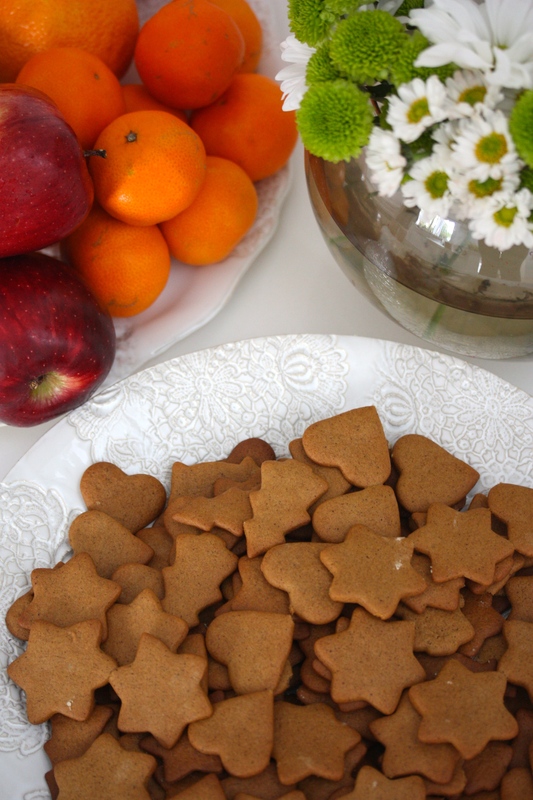 Easy to make and delicious… The best combination!